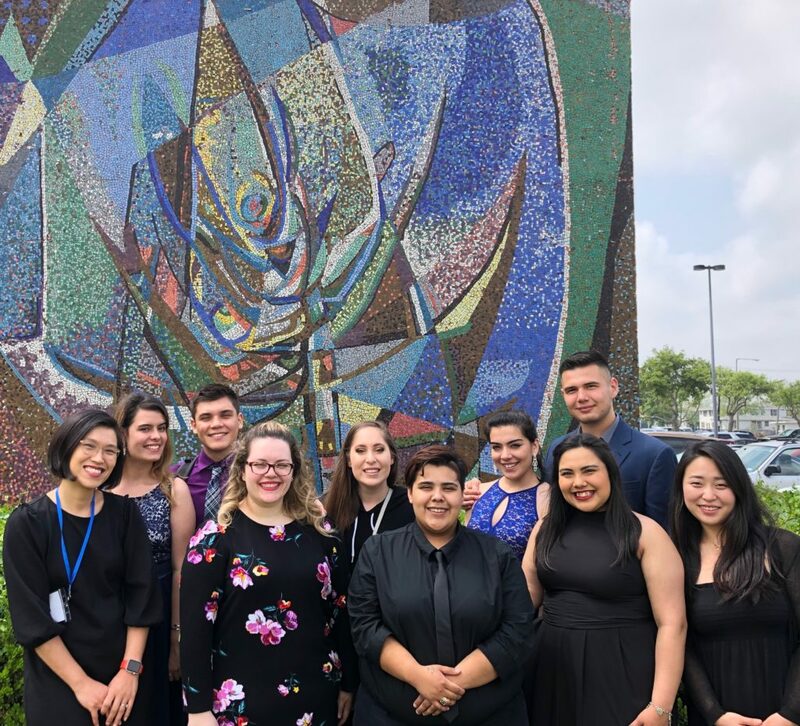 National Association of Teachers of Singing (NATS) South Texas Chapter Spring Audition was very successful for Northwest Vista College on April 6 at Del Mar College in Corpus Christi. Natalia Jasso in First Year College Women (Classical Division) as a semi-finalist. Serena Hernandez, Thalia Moreno, Kristin DeGennaro, Ashley Rodriguez, Elizabeth Potts were also recognized with high scores and only a few points away from being semi-finalists. Dr. Lee added that “this incredibly fine day of singing couldn’t have happen without the following supporters: Special thanks to our amazing pianist, Bogum Park from the University of Texas at Austin for her fabulous performance on the piano to add artistic touchups for beautiful performances with the NVC singers. Also, we are very thankful to NVC Music Coordinator, Daniel Smith and Chair of FAPK, Karla Ellis, for a great deal of support and encouragement during this audition preparation.